The end of summer is here, and that means it’s time for the Great Minnesota Get-Together. Every year, Minnesota Museum of American Art (the M) selects a single work for our permanent collection to purchase from the Minnesota State Fair’s competitive Fine Arts Exhibition. It’s a tradition we cherish and one that is unique to the M, ensuring that the museum’s collection continues to reflect the creativity and diversity of our state’s artists. The M has always been a strong supporter of local artists and craftspeople, and is proud to make this significant contribution, each year, to a Minnesota artist’s career. It’s a massive piece: an oil and acrylic painting on panel that includes pastels and collaged sewn fabric. This work was included in Barlow’s recent solo exhibition, Loving, at Public Functionary. 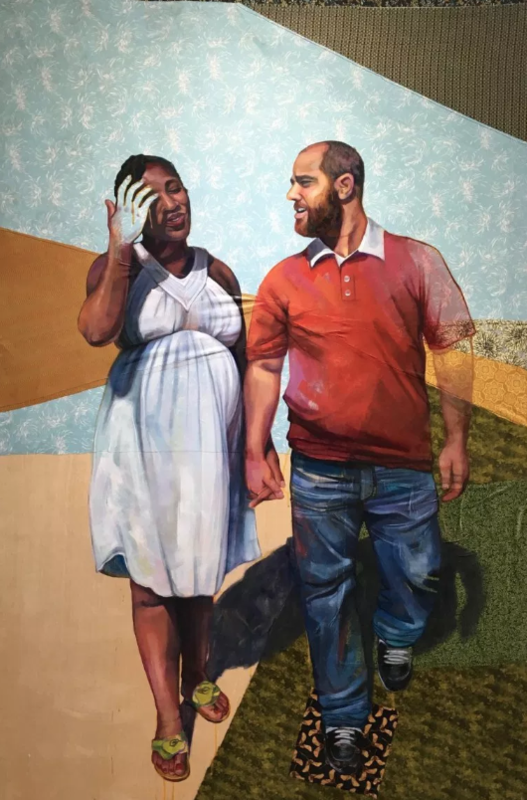 In this series of multimedia paintings, which includes members of her own family and community, Barlow celebrates the 50-year anniversary of the landmark Loving v. State of Virginia case, which ruled that anti-miscegenation laws are unconstitutional. 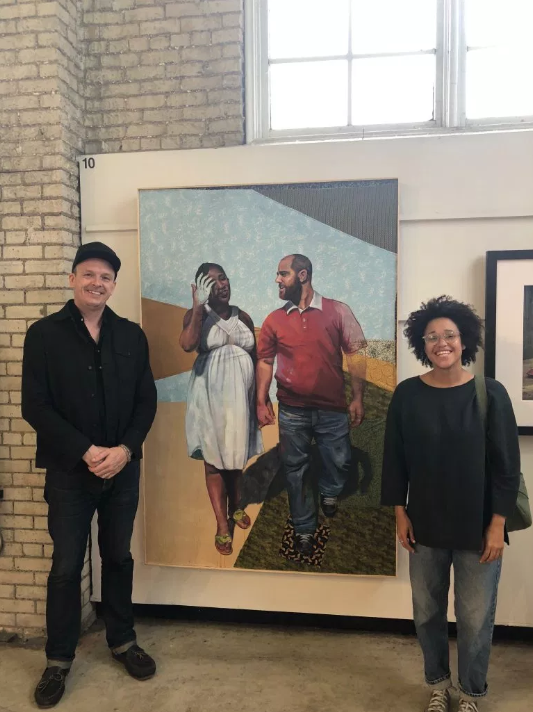 When talking about the exhibition, Barlow has said: “I felt the urgent need to represent ‘alternative’ narratives of identity, race, and family, while simultaneously unpacking the complex layers and contradictions within my own multiracial identity.” We are very excited to add this painting to the M’s permanent collection. Leslie Barlow will also be among the first teaching artists in the M’s new Center for Creativity, when the museum facility opens this December. Want to learn about oil painting from one of the state’s up-and-coming artists? Registration for the M’s studio art class, “The Painted Portrait,” taught by Barlow, will open in early September. Check the M website in the coming weeks for class details! Stephen, Jeffrey and Twins will be on view in the Fine Arts Center during the Minnesota State Fair, Thursday, August 23 – Labor Day, Monday, September 3. The Fine Arts Center is open from 9 am – 9 pm and is located at the corner of Randall Avenue and Cosgrove Street across from the Eco Experience Progress Center.